The importance of ensuring you book adequate travel insurance for your trip has been highlighted by strikes in Germany this week. Transport hubs across the country have been affected by the walk-outs including disruption to flights at Frankfurt and Munich airports. More than 200 flights operating out Germany's two largest airport hubs were cancelled, according to airport spokesmen. The row focuses on pay increases for public service providers, with drivers, teachers and bankers all going on strike. Speaking on a local radio station, Frank Baesler Berlin, the head of the ver.di union, said: "We can hold out for a very, very long time." Those holidaying in the country or planning a business trip are being warned that the strikes are likely to impact on their journeys. 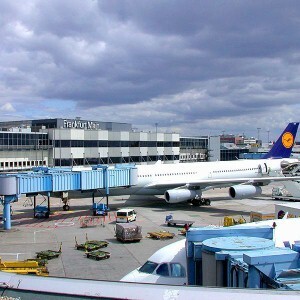 Passengers who have booked domestic flights and those travelling to and from Germany from European destinations were hit the heaviest by the strike action. German airline Lufthansa warned tourists to check its website before travelling to the airports.